Element is a Desktop UI Library. It offers component based custom themes, forms, data tables and such, and more UI elements, each with its own options. Below is a small example of some UI elements (buttons, navbar), using this library. You can choose to import Element entirely, or just import what you need. For more visit the docs. 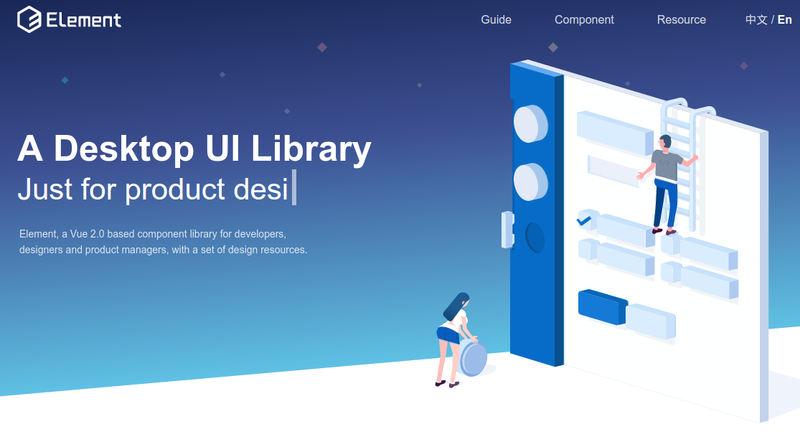 Visit the UI Library, you can find the repos on GitHub.